When the ROM wizards at CyanogenMod release a version for a new phone, you know it’s hit the big time – at least in the eyes of the most devoted members of the Android community. For the Motorola DROID 3, that day is drawing near. 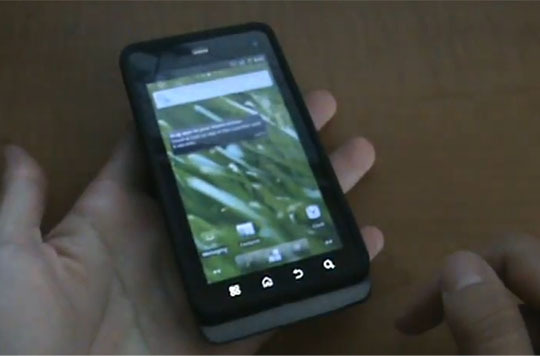 A member of the CyanogenMod development team posted an early version of the Gingerbread custom ROM in a YouTube video. There’s a lot of work still to be done for the DROID 3. Basic functions like the camera, MicroSD card, and wifi are still inoperable, and the OS is pretty jittery with lots of detection and rendering errors. The CyanogenMod team famously abhors ETAs, but team member Kevin estimates that nightlies and beta versions will be posted in the next few weeks. There’s been exciting news for the CyanogenMod team as of late. Steve Kondik (“Cyanogen” to his friends) was actually hired by Samsung, presumably to help them optimize future versions of their phones and tablets. The Android modding community is getting some major manufacturer attention as well: Sony Ericsson has officially teamed up with CyanogenMod and FreeXperia to bring the CyanogenMod 7 and other custom ROMs to Xperia phones in the future. Who knows, by this time next year we could see manufacturers hosting and distributing CyanogenMod 8 for customers to download and flash directly. A guy can dream, can’t he? Next articleComparison chart: Samsung Galaxy S II vs. the iPhone 4S – Yes, the SGSII still rocks!